Maybe the Ape Man got this Scooby-Doo mask from Rubies? I have one, and it’s lots of fun to wear. 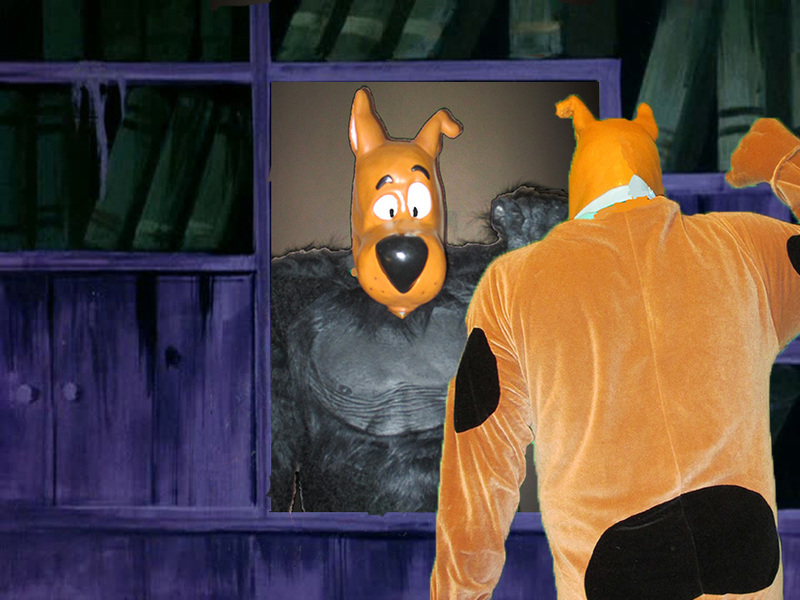 I even did a photo remake of the “phony mirror” scene, using a green-screen, Adobe Photoshop, an “ape” torso shirt and the Scooby mask!